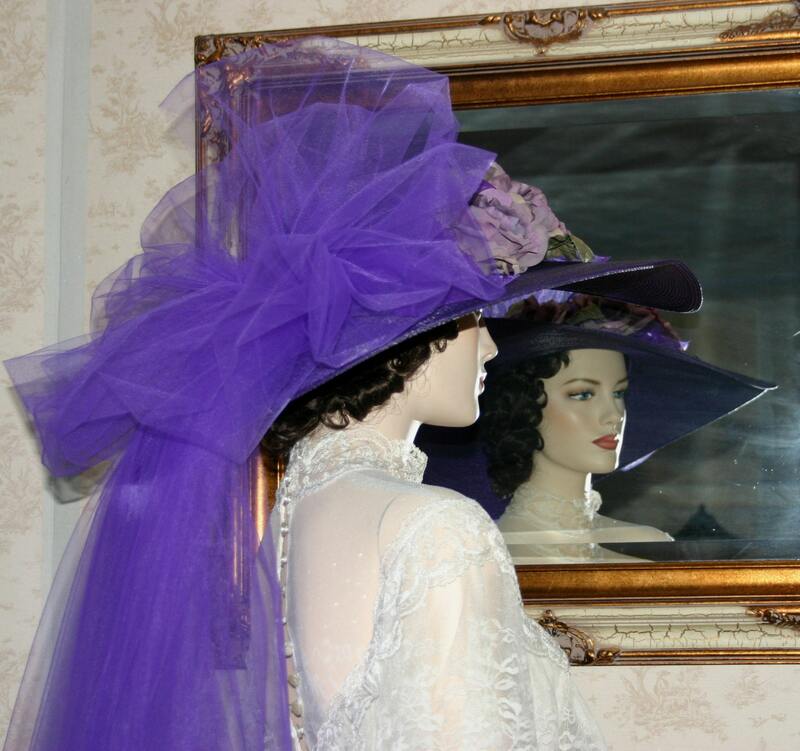 Kentucky Derby Hat Victorian Hat "Sweetheart of Ritzville" is made of purple designer straw and the brim measures a full 22" diameter. 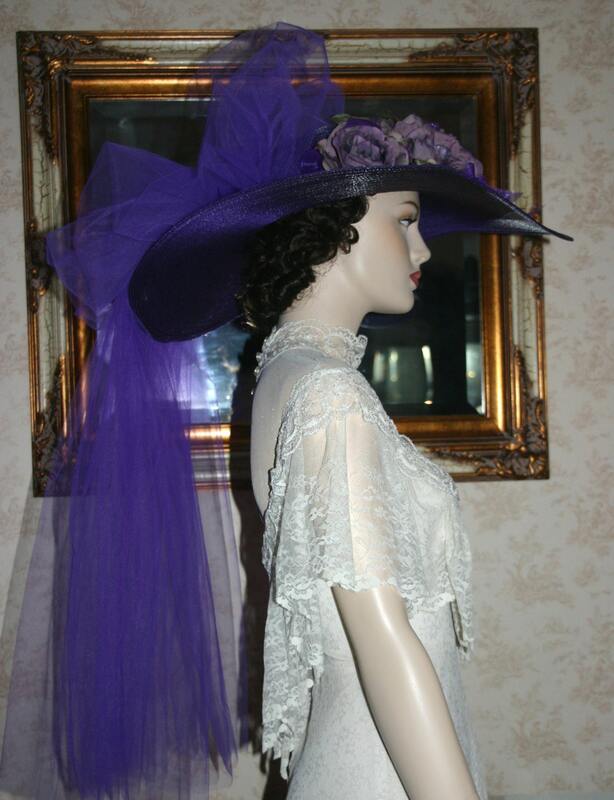 It is a gorgeous wide brimmed summer hat and it is perfect a wedding or for that special tea party, church and Easter! 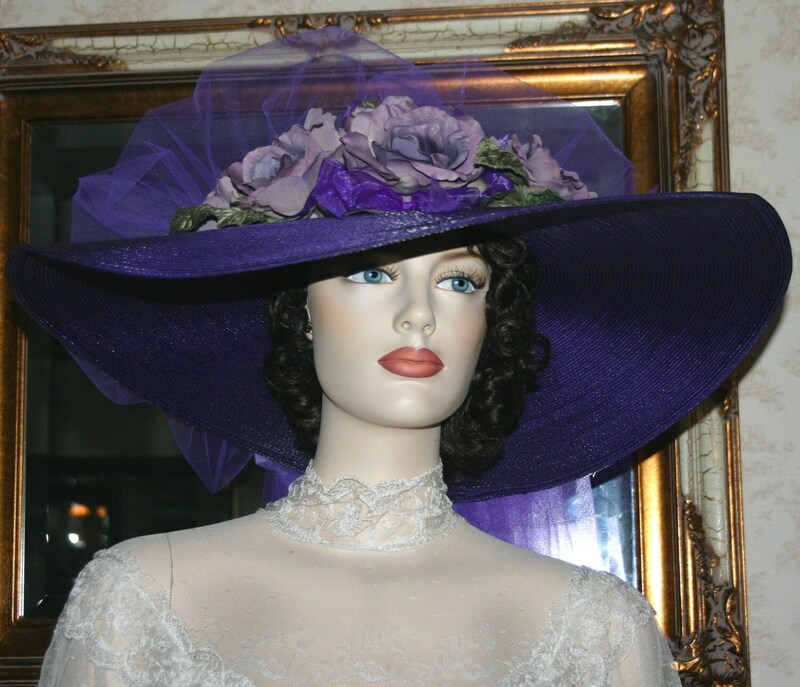 It is adorned with beautiful purple roses and accented with soft green velvet leaves; petite purple organza ribbon bows accent the roses. 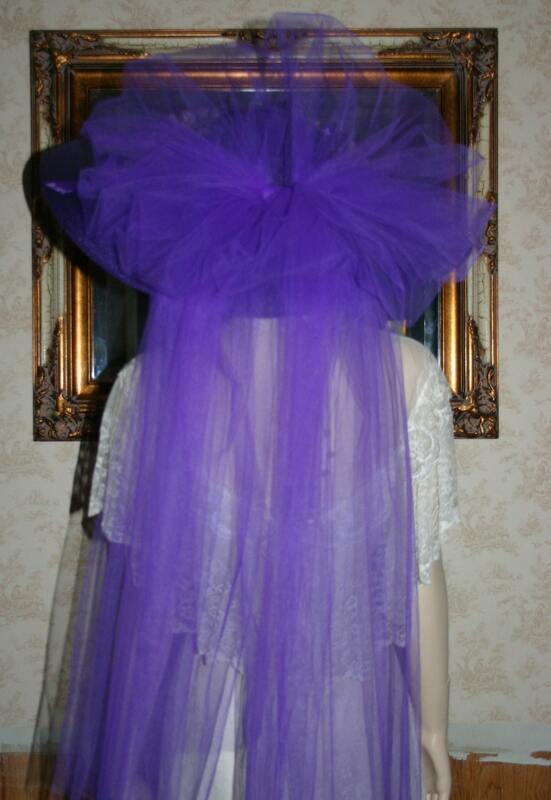 The back of the hat is adorned with a large shimmering purple tulle bow that cascades down the back.